Rogue agent Jason Bourne (Matt Damon) is being hunted by the people in the CIA who trained him to be an assassin. Still suffering from amnesia and determined to finally learn of his true identity, he is lured out of hiding to contact a journalist named Simon Ross (Paddy Considine), who has been following his story. Throughout his research, Ross has gathered valuable information about Bourne and Treadstone, which trained him. This is rather inconvenient for U.S. government official Noah Vosen (David Strathairn), who is hoping to start a new organization under the codename Blackbriar (which is briefly mentioned at the end of the first film) which would follow in Treadstone's footsteps. With intent to kill Bourne and the journalist before they expose the program's disturbing secrets, Vosen sends agent Pamela Landy (Joan Allen) to lead the search effort. Simultaneously, Paz (Edgar Ramirez), one of the remaining living Treadstone assassins, is dispatched to find and neutralize Bourne and Ross. 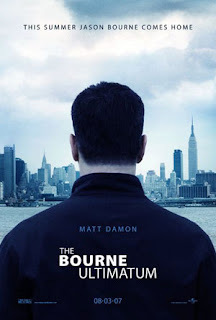 In order to finally learn of his true origins and find inner peace, Bourne will have to evade, out-maneuver, and outsmart the deadliest group of highly-trained agents and assassins yet.